However good the facilities, we realise it is the staff that make the camps and the children's experience special. 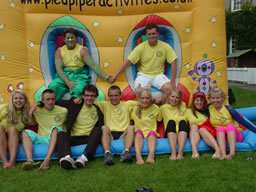 All the staff are rigorously selected to create the right caring sharing camp community. The staff are recruited on the basis that they have the maturity, personality, caring attitude, activity experience and ability to relate to and motivate young children. Many are teachers or undertaking teacher training and return for more than one year. All staff undergo Disclosure & Barring Service checks, a health check and at least two independent references are taken. We are delighted that many of our staff have worked for us before. 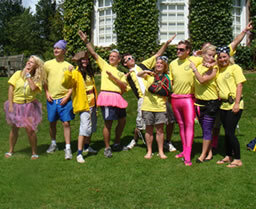 They return each year sharing their experience and favourite games with new staff, so the high standards are continued. A Team Captain oversees each camp and ensures the safety and well being of each and every child is uppermost in the minds of all members of the Pied Piper team.